(Atlanta, GA) Optimizer® Green Shade is a green pigment spray additive and the latest addition to the line of turf and ornamental products marketed by United Turf Alliance. Optimizer Green Shade enhances turf quality and appearance, while blending color variations caused by stress, phytotoxicity and cultivar inconsistency. It also improves application accuracy by serving as a spray pattern indicator. Optimizer Green Shade can be used on golf courses, athletic fields and other maintained areas where turf color, quality and spray accuracy are important. It protects turf from the negative impact of UV sunlight and is tank mix compatible with most fertilizers, herbicides, fungicides, wetting agents and plant growth regulators. It may be used as a recurrent component of a spray program and to provide green color to dormant turfgrass. The labeled application rate for Optimizer Green Shade is 15 to 20 fl. oz. per acre applied in a minimum of 50 gallons of water per acre. 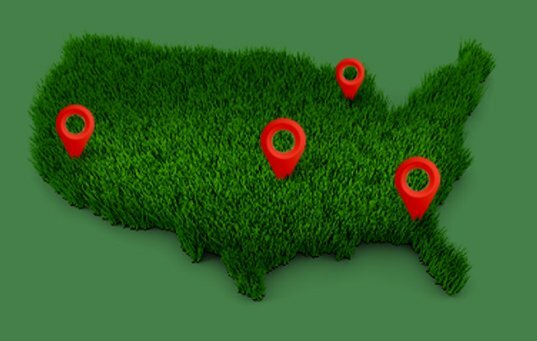 The product is available in 12 x 1-quart or 4 x 1-gallon cases from United Turf Alliance members and dealer partners. Always read and follow label instructions and do not apply or allow overspray of Optimizer Green Shade on hardscapes or other non-target areas.